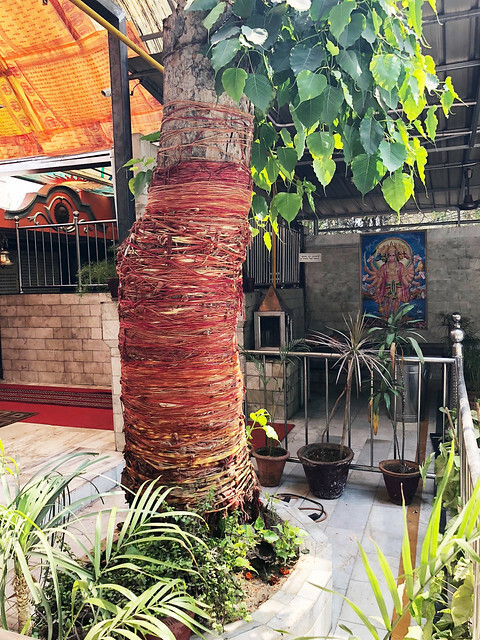 The consolation of a temple tree. This tree seems to be long gone but what’s left of it is certainly not neglected. Sacred red threads envelop the stump. 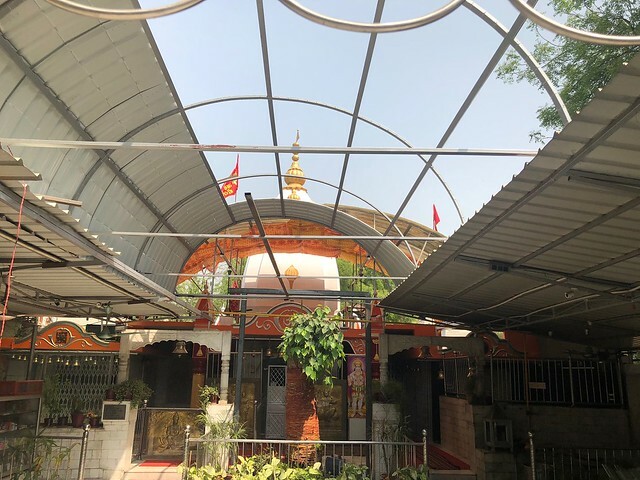 While marigolds and sweet dishes at its base suggest a holy offering, at the Hanuman Temple. 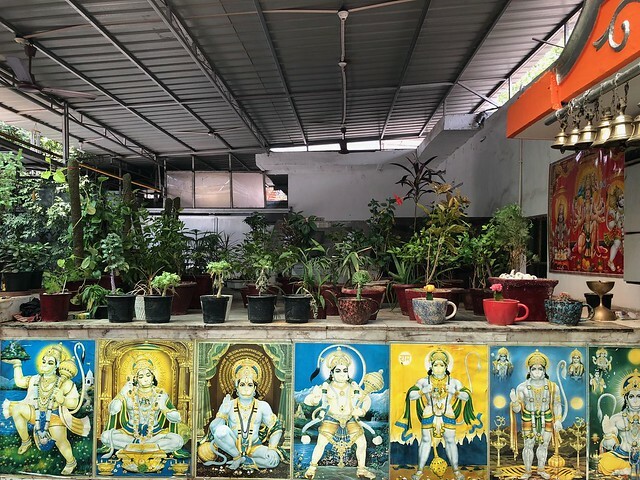 Tucked away in central Delhi, it’s a small isle of serenity, seemingly far from the bustle of the nearby Vinay Marg. 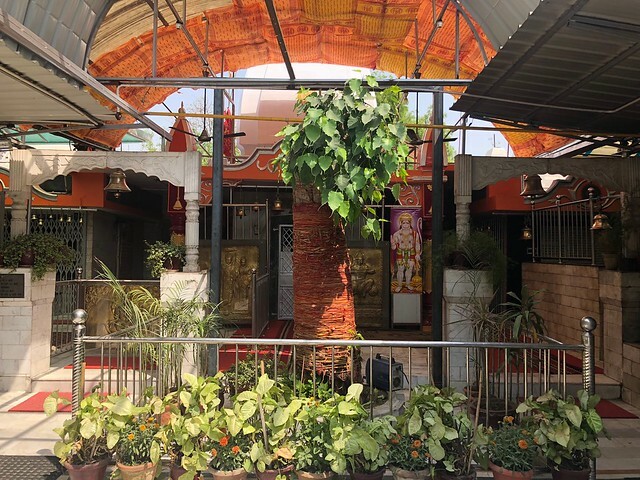 The central shrine dedicated to lord Hanuman features a sculpted door so extravagant that the carvings appear to be flowers. Or perhaps dolphins? 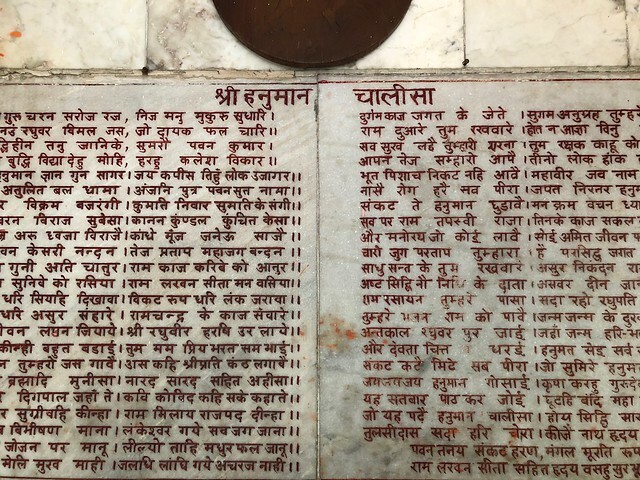 Over there is an entire wall plastered with a stone slab — inscribed with the complete text of Hanuman Chalisa. Overall there’s an obvious sense of domesticity in the shape and form of dozens of pots containing various herbs and fruit plants. There are also pink and yellow cacti sprouting in this nearly empty temple. 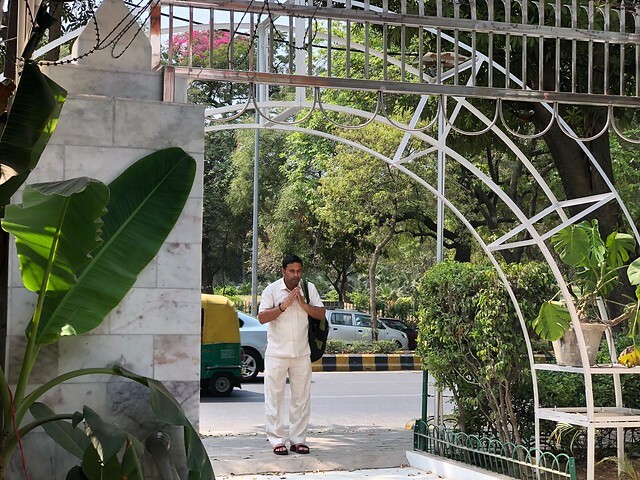 Every so often pedestrians quietly bow at the gates and move on. Sometimes they get as far as the courtyard covered with a tin roof which must resound with pitter-patter on rainy afternoons. 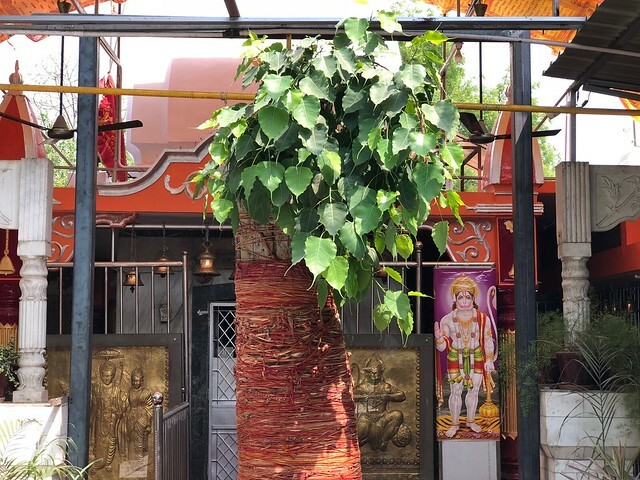 It is almost impossible to kill a Peepal tree! All these trees need is a tiny gap or crack in a wall somewhere and they’re good to go.